Do you think yellow is ‘too much’ for work? Think again. 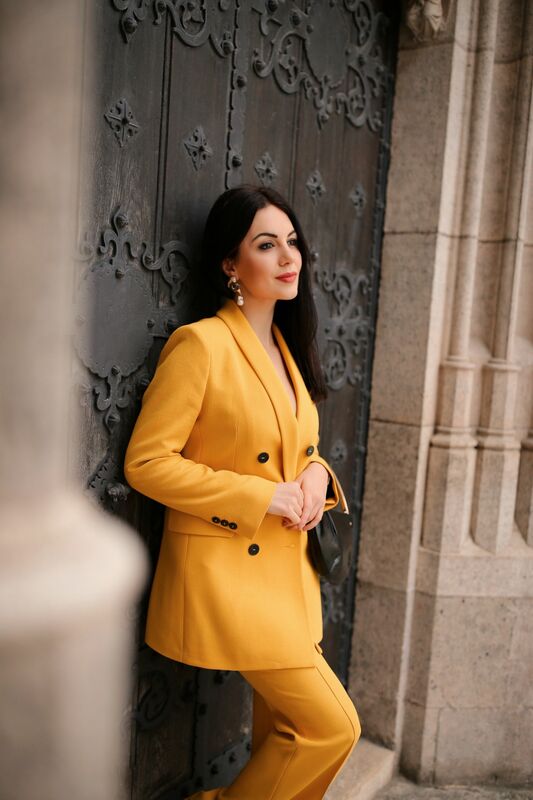 The yellow hue is not only for off-duty outfits, but also a perfect shade to make a sartorial statement at work and afterwork. While spring fashion is officially underway, there are plenty of new styles in different spring hues to try now. It’s around this time of the year when I start to bring out all of my favorite spring clothes and add some more pieces that can be combined easily. The goal is to get dressed up quickly in the morning and to be as effortless as possible. Therefore we need pieces that can be worn without thinking too much. As far as accessories are concerned, keep it simple. Seen a lot on SS19 runway shows, the power suits looks always great on everyone. They make you look elegant, sophisticated and a key for styling in whichever way suits your mood and taste. Ready to brighten up the office with a yellow suit? Finding a perfect dress is the easiest way to wear the yellow trend. I love the Tibi plissé-satin dress with a flounce hem, as well as the bow-embellished silk midi dress and the asymmetric draped crepe dress that can be worn with a blazer for the office and to the afterwork meetings. If you are in mood to mix and match, or just combine the yellow separates, choose different shades of yellow. I love mixing hues and textures and add a contrast with a different color of shoes, bag and jewelry.